"What is preaching? Logic on fire! Eloquent reason! Are these contradictions? Of course they are not. Reason concerning this Truth ought to be mightily eloquent, as you see it in the case of the Apostle Paul and others. It is theology on fire. And a theology which does not take fire, I maintain, is a defective theology." It is a joy to be your pastor. I’m so glad to be able to say that every year now for almost 13 years and to mean it every time. 2010 was a year of full of good ministry. Our church is brimming with vitality. The Lord is at work in people’s lives. A short report like this can’t begin to include all of the ministry events, moments of transformation, and significant happenings in the lives of our church family–and that’s a good thing! Last year, we set a goal of increasing our teamwork as a church, and while there is always room for improvement, I think it’s been a good year for teamwork. I am blessed to serve with lots of good teams here at LEFC. Our Elder Team, chaired by George Leathers, provided leadership and oversight throughout the year. Each Elder oversaw an area of ministry (Jeff Schiefer - Worship, Bob Giswhite - Children’s Instruction, Keith Folmar - Adult/Youth Instruction, Blair Murray - Fellowship, John Forcey - Evangelism, George Leathers - Service) and worked together as a team to make decisions all year round. Thank you! It’s easy to work with Stacey Fisch and Cindy Green each week. Cindy cleans up our messes while Stacey juggles all of the details. They make ministry at Lanse Free Church move smoothly. Thank you! And our various ministry teams whose reports are sprinkled throughout this document worked together this year like interrelated body parts – the way it should be (1 Corinthians 12). Thank you! One team that I’m particularly thankful for is the Pastoral Prayer Team. The people in this group consistently pray for me and my family and ministry requests that I send out in regular emails. This is the engine that drives our ministry. Thank you! Our attendance stayed steady with previous years. Our average attendance was 128 (last year was 131). The highest attended Sunday was Resurrection Sunday with 208 people worshiping with us. We added 3 new couples to our membership in 2010: Rob and Kathy Barkman, Lonnie and Valerie Kovalick, Jim and Tammy Beveridge. It’s great to have new people join the team! My ministry revolves around three main pastoral functions: preaching the Word, equipping the saints, and shepherding the flock. Aside from a few holidays and special messages, the preaching ministry has been focused on one book–the Gospel of Luke. We’ve carried through our Certain of Jesus series from 2009 and will stay in Luke until Spring this year, Lord-willing. It has been fruitful in our lives to focus on the Lord Jesus! I also got the opportunity to preach on prayer at the Allegheny District Conference in April. On the Sundays when I couldn’t preach at LEFC, our pulpit was filled by godly men who love the Lord and His Word: Jim Culbertson, Chris Van Brocklin, Brent Henderson, Kim Cone, Jeff Powell, Steve Gibboney, Bruce Weatherly, Tim McGill, and Matt Cox. I get to go to a lot of meetings. Part of my job is working with our leaders to equip them for leading ministry. Sometimes, I’m the leader of a particular ministry. Over time, I am trying to work myself out of those jobs so that I can focus mainly on preaching, people, and prayer. One of the ways that I know that my ministry of equipping is working is when effective ministry happens when I’m not there. This year, our family was away for most of July, and ministry continued without missing a beat–including a church family movie night showing Facing the Giants. In addition to equipping in the local church, you generously donate my time to helping with EFCA district and national ministries, too. In 2010, I led the District Constitutions and Credentials Board, Stay Sharp - our district theology conference, and a regional pastors’ group. I also served as the book review coordinator for EFCA Today, our denominational magazine. Direct ministry with people is my favorite part of my job. I love being involved in your lives during the good times and even in the bad. In 2010, I had the honor of preaching at the funerals of Fred Lumadue, Rodney Slother, Dale Turner, and Linda Lundeen. I was active in hospital visitation and biblical counseling. Many of you had me into your homes. Our church also got to celebrate two weddings this year: Kendra & Tyler Piotrowski and Rob & Heather Bozovich. Congratulations! One amazing privilege of being your shepherd is being shepherded, at times, by you. In 2010, Heather’s mom was diagnosed with abdominal cancer, and we walked through the valley of the shadow of death with her. You gave us a whole month off, and we got to visit Heather’s family in Canada traveling by train. You sustained us with prayers, hugs, cards, gifts, babysitting, help, and compassion. And now that Linda has gone home to be with her Lord, you have continued to uphold our family in prayer. Thank you for being such a loving church family for your pastor’s family! Another significant thing you have been praying with me about is my doctoral work at Westminster Theological Seminary. In 2010, I passed both of my comprehensive exams, had my applied research project proposal accepted, and started both my research and my writing on the project. My project is all about gossip and will include a ministry book on how to resist the pull of “idle talk.” 2011 will be a year of writing for me. This is exciting and a bit scary. I’ve never done anything like this before, and I need your prayers. Our theme passage for this year will be Philippians 2:12-18. In 2011, we want to provide opportunities for everyone in our church to work out their salvation, growing in holiness and Christlikeness. All of our main ministries will continue with the goal of personal transformation–growing people in their love relationships with Jesus Christ. I would love to see the people of LEFC be different from the people around us. Not “goody-two-shoes” or legalistically “good” like the Pharisees. But genuinely content, joyful, hopeful, and loving. The world is looking for people who are attractive like that. Let’s pray that we would stand out–not for what we don’t do, but for who we are in Christ. We want 2011 to be a year of increased gospel outreach. We have been brainstorming ways to do that together as a church, but the emphasis needs to always stay on each of our own personal efforts to share the good news about Jesus. We will hold some big church events, the Men’s Wild Game Dinner, Family Bible Week, and others–maybe a Fall Concert Outreach and/or movie nights, but what is most important is that we each be ready and willing and bold to share Jesus with our friends, neighbors, co-workers, and family. Paul saw his and the Philippian church’s service as an act of worship. In 2011, how will you pour yourself out in worshipful service to the Lord? In what ways can you get involved in the ministry of your church? When 2011 is over, we want “to rejoice and be glad” together in the Lord for what He has done in and through us. In a just a few minutes, we’re going to go back that hallway there and have our Annual Reports Meal and Meeting. Everyone here is welcome to stay here for that. But I doubt that everyone will. Some of you have other places that you need to be after church today. So this year, I thought I’d use the sermon time to give you a vision for our church’s life for 2011. That’ll make the meeting shorter, as I won’t have to get to preaching there, and it will help us all stay on the same page as a church, whether you make the meeting today or not. Did you notice what was the first word of our passage? I’d like this to be a kind of theme for 2011, a theme passage of Scripture. But it starts with a connecting word. Did you notice? And very wise people have always taught us that when you see a therefore in Scripture what should you do? Find out what it’s there for, right? When you see a therefore, find out what it’s there for. Verse 18 is the not beginning of Paul’s thought. The Apostle Paul has been talking about the gospel. The good news about Jesus. The good news that Jesus did not consider equality with God something to be held onto at all costs, but made himself nothing and became like us and took on our sin and died for us. That’s good news because we couldn’t pay for our own sin. We need a sinless savior to sacrifice Himself in our place. And the good news doesn’t end there. Paul just shared that God exalted Jesus to the highest place–He came back to life!–and gave Him the name above every name. That’s where we come in today. The glorious gospel of the exalted Lordship of our Savior Jesus Christ has implications for our lives today. In reality, we can’t live out the gospel. The gospel is this good news about Jesus. It is something that can be proclaimed and shared but not lived out. I mean that we need to live off of this gospel. We need to live lives in keeping with the gospel. We need to live as though the gospel were true [which it is!]. We need to live “Gospelly.” To live “Gospelish.” To live the implications of the Good News. To live out of the Gospel. Living Out the Gospel in 2011. Four points of application this morning for our lives and our church in 2011. #1. Living Out the Gospel Means WORKING OUT OUR SALVATION. I get that from v.12. Look at v.12. “Therefore, my dear friends, as you have always obeyed [God’s will]–not only in my presence [when I lived in Philippi], but now much more in my absence [while I’m stuck in a Roman prison]–continue [to OBEY!] to work out your salvation with fear and trembling,” Stop there. Now, what does that mean? It probably sounds a little dangerous to some of our ears. “Work to KEEP your salvation.” The Philippians were not being taught that God got them just so far by grace and now they have to maintain and preserve their salvation by working, working, working in obedience. That means to live out the full potential of the gift of your salvation–to live out of it. You have it, now what are you going to do with it? What difference does it make that you have salvation? Work that out! Work out the details, the entailments, the applications, the “SO WHAT’s” of being saved. Realize the full potential of your salvation. See it actualized. It’s inside of you, let it out! This is a call to obedience. The Gospel is not just provide to be believed. It also provides something to be obeyed. Look again at the logic in v.12. Live it out! Act like a Christian! Do God’s will. Find out what pleases the Lord and get busy! Get obedient. Get a little crazy for Christ! The Gospel is real–act like it! The Gospel has come to you–work out what that means for you NOW. What does it mean that you have salvation as a father? as a mother? as a son? as a daughter? on the job? at school? at a sporting event? on the open road? What does it mean that you have salvation? Work it out! Actualize your salvation. Live it out! Obedience is called for. It is necessary. It doesn’t save you. It doesn’t keep you saved. But because of the Gospel, it is a requirement. Therefore, as you have always obeyed, work out your salvation. And do it, Paul says, with FEAR and TREMBLING. Not cowering terror at a holy God who is going to judge you, but awesome reverence at a God Who has judged His own Son for you and is calling you into His own service. Working out your salvation is not to be done lightly, flippantly, as if the blood of the Son of God was not infinitely precious. Fear and trembling are called for. He is an Awesome God giving us an Awesome Savior through an Awesome Gospel! Work out your salvation, Christian, with fear and trembling. Now, lest we think that we can’t do this command [and we can’t on our own! ]...lest we are unsure where the power and enablement will come from to work out our salvation [and it won’t be us! ], Paul gives us v.13. I love v.13! Do you catch the story here? God does not do it for us. He does it IN us. God is supplying the necessary enablement, empowering. God is working in us and through us to realize our salvation in our lives. We both work. This does not let us off of the hook. We are still supposed to work out our salvation–but we do it because (FOR) God is at work in us doing it Himself! We work out–God works in! Now, lots of people don’t put these two verses together. Some people love v.12 and some people love v.13. But they are both necessary and are connected. But both are true. Both are needed. V.13 is more important than v.12–God is the much bigger Worker (with a capital W!). But it doesn’t negate the call of v.12. It establishes it. Some people are de-motivated by v.13. “Well, if God is doing all that, why bother doing anything?” But v.13 is the MOTIVE, the very reason God gives FOR us to do v.12. Notice the level at which God works! He doesn’t just empower. He actually works at the level of your WILL. If you ever grow in Christ-like-ness, it’s because God is at work in you to WILL it. Some of you may have been taught that God can’t mess with your will. But here’s a verse right here that says that He better! If God is actually at work in you, He is moving your will towards Him. So therefore, WORK OUT YOUR SALVATION in 2011. Are you doing that? Are you actualizing the potential of the salvation that is inside of you? Are you living out the gospel? How are you going to work out your salvation in 2011? None of us are doing it perfectly. But are we growing? Are we headed in the right direction? Are we on the right path? Jesus died for us–not so that we could go on living like the world but–so that we could work out all of what it means to be saved in a daily walk of obedience to Him. I’ve been recently convicted in my own life of pockets of passive disobedience. It’s not that I set out to disobey God or to be unholy, but I find myself backing into it. God has called me to work out my salvation with fear and trembling. But all too often, try to coast through my Christian life without WORK. Work is work! What do I want to work for? But those pockets of passive disobedience will only fester grow and hold me back from blessing. They have to be cleaned out. In 2011, I need to roll up my sleeves and get to work. Working out my salvation, becoming like Christ, becoming holy, FOR I know that God is at work within me to will and to act according to His good purpose. In v.14, Paul gets more specific. “Do everything without complaining or arguing, so that you may become blameless and pure, children of God without fault in a crooked and depraved generation, in which you shine like stars in the universe as you hold out the word of life...” Let’s stop there. This is what it means to work out your salvation. It means to live differently than the unbelieving people around you. #2. Living Out the Gospel Means STANDING OUT IN OUR GENERATION. “Do everything without complaining or arguing...” Yikes! That’s quite a command! I was thinking about this as I wrote the sermon this week. I’ve been working on this book on resisting gossip. Maybe I should be writing a book about resisting grumbling! And I find myself complaining about this book all the time. I’m sorry, Heather Joy, for you having to listen to me go and on and on about. You’ve been very patient and longsuffering with me. I’m sorry. And I was thinking last night, that I had to preach a sermon today that says, “Do everything without complaining or arguing.” Be careful what you preach; you just may have to live it! Paul is drawing here from the story of Israel in the Old Testament. Especially the complaining part. Other translations translate this “grumbling” or “murmuring”–which is what Israel did in the desert. Murmur is one of those words that sounds like what it is. Every body say “murmur, murmur, murmur, murmur” the person next to you. Go ahead. It means to grumble against the goodness of God. And we do it so much more often than we realize. And to work out their salvation, they needed to learn to work together. Now, just think for a second, what would happen if we as a whole church suddenly obeyed this command perfectly? We would stand out! Wouldn’t we? We live in a culture of dissatisfaction. A consumer culture that says if you don’t like it, then you deserve something better–lodge a complaint (grumble away–you deserve it!) and get what you want. We live in a fractured world–a Balkanized world. If I say for example, “the electoral map” or “red states and blue states” then you get images of a fractured, arguing, splintered group of people. Thankful, unified people will STAND OUT in our world. And that’s just what Paul says will happen (v.15). Look up in the sky on a clear night. What do you see? You see contrast. There are these little points of light that illumine the darkness and stand out. There should be a contrast between us and the world. Do you and I look different from the world? I don’t mean do we dress differently (though chaste and modest dress would stand out in the way that I’m talking about). I mean, do you act differently? Not just in what you DON’T DO, but in HOW YOU DO WHAT YOU DO. Is your life characterized by complaining and arguing? Or blamelessness and purity? Of course, we don’t want to be obnoxious and be known for being different in ways that God has not called us to. But we don’t want to look like the universe! We want to STAND OUT. Where do you need to change in 2011? I’ll bet that a starting point for you is in complaining/grumbling/murmuring and arguing. Kids? Teens? Husbands? Wives? Single Folks? It sure is for me. Some days, if I didn’t complain, I wouldn’t have anything to say. And you know what, that’s what I should say on those days. Nothing. Wouldn’t it be great if 2011 were the year that I (we?) made great strides in eliminating complaining and arguing and grumbling and murmuring from our lives? I once went about 2 weeks without complaining. I’ve told you this story before, but it’s worth repeating. In 1993, I traveled with the circus. Yes, you heard me right. I was a circus performer. I wasn’t a lion tamer. I was a juggler. And this circus I was on, traveled up and down the eastern seaboard and did the same show in a different town every day. Sometimes, more than once a day. We had to take down the whole thing and put it up again and travel together in close quarters. It was fun. But it wasn’t fun to take everything apart and pack it up into a Uhaul and then unpack again and set it up. Again and again and again. But I was a growing Christian. I was working out my salvation. And I decided to not complain. If someone asked me to do something, I would just do it as if Jesus had asked me to do it. If Jesus asked me to, face to face, I’d do anything, wouldn’t you? And I decided to not talk about Jesus until someone asked. It took about 1 week. Now, I want you to notice something as we transition into point #3. We stand out in bold contrast to the world, but not as those who look down on the world and strut around proud of how much better we are than they are. No, we are gospel-oriented people. We are just beggars telling other beggars where to find bread. #3. Living Out the Gospel Means HOLDING OUT THE WORD OF LIFE. Holding Out the Gospel! We don’t just stand out, we hand out! We hand out the gospel. We are EVANGELICAL. That means that we believe and give away the good news about Jesus Christ. And that’s what we need to do especially in 2011! Have you recently held out the gospel to someone who needs it? How many of us have done something like that? How many of us have spoken up? Given someone a tract? Given someone a book? Invited them to a gospel meeting? Talked about our testimony? Talked about the glories of Jesus Christ? Are we holding out the word of life? We’re going to as a church in 2011. Right, we’re planning our Wild Game Dinner to reach out to men in our community. Are you involved in that? You don’t have to like Wild Game or even hunting to be involved. I’ve only been a hunter for a couple of years, but I’ve been involved in the Wild Game Dinner all along, and I love that we can use it to try to hold out the word of life to those who need it most! And we’ve begun planning our Family Bible Week this year. And we want to maximize it for gospel outreach this year. The theme is going to be a race car theme called “DRIVE,” and we’re trying to think of how to make that a great outreach into our community. And I’d like to see us do something else big as an event the Fall this year. But the point of gospel outreach is not events. You don’t need events to reach your community for Christ. That’s something that we can all do with our friends, neighbors, co-workers, family members, and even strangers. Who are you trying to hold the word out to? We’ve got to get bold in 2011. Living out the Gospel means Holding Out the Gospel to those who need it most–unbelievers. Not that they will always like it! In fact, many times they will not. If you shine your light, little star, much of the darkness will try to overcome it. And that’s why living out the gospel means (#4) POURING OUT OUR LIVES as a joyful sacrifice. Paul is drawing on the Old Testament sacrificial system. The morning and evening offerings that were sacrificed on the altar included a drink offering (often called a libation) that was poured out on top of the sacrificial lamb. The drink offering added something meaningful but it was really worth nothing if there was no lamb. Paul is saying that if they work out their salvation, and stand out in their generation, and hold out the word of life, and live out the gospel–then their service will be a sweet sacrifice to God and his service of ministry to them will be a drink offering poured out on top–a meaningful–“worth it” kind of sacrifice. Worth it! Even if Paul dies. Paul is in prison and according to chapter 1, he think he might die soon. And even if Paul pours out his life for the defense and confirmation of the gospel that the Philippians are called to believe–it’s worth it! And it’s worth rejoicing in. Together. V.17 “I am glad [even if I die!] and rejoice with all of you [that you are living out the Gospel!]. And [V.18], “So you too should be glad and rejoice with me.” Because it’s worth it! The Gospel is worth pouring out your life as a sacrifice! Your spouse, if you have one? Your kids, if you have them? Your best friend? Your country? Would you die for the gospel? Whatever is worth dying for is worth living for. Each and every day. And that’s what I believe God is calling Lanse Free Church to do in 2011. To pour our lives for the gospel. Our service becoming worship that leads to joy. We have a saying around here: The Main Thing is to keep the Main Thing the Main Thing. And the Main Thing is the gospel of Jesus Christ. It’s worth pouring out lives for as a joyful sacrifice. "The thought that we may ourselves be one day under the window should make us careful when we are throwing out our dirty water." - Charles Spurgeon: from Spurgeon’s Plain Advice for Plain People, pages 75-76. "Gossip involves saying behind a person’s back what you would never say to his or her face. Flattery means saying to a person’s face what you would never say behind his or her back." "Alas! they had been friends in youth; but whispering tongues can poison truth." Proverbs 16:28 in Poetic Form. "Your mind is a garden, your thoughts are the seeds; the harvest can either be flowers or weeds." Q. What might you get if you crossed D.A. Carson and Jim Henson's Muppets? A. 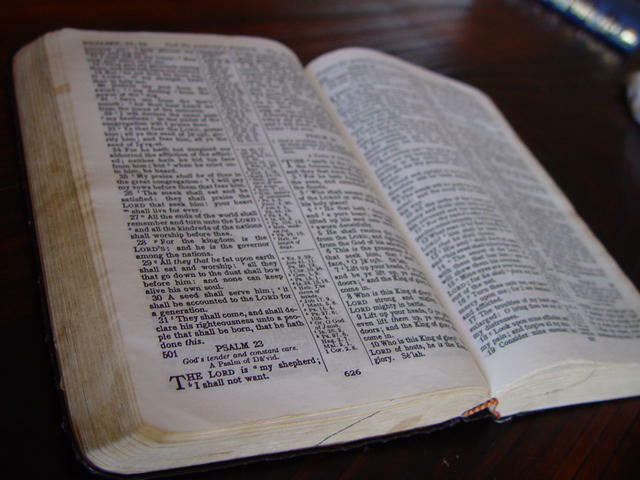 What's In the Bible with Buck Denver! Phil Vischer, the maker of VeggieTales, has come out an amazing resource for kids to understand both the contents and the Big Story of the Bible with tons of fun. VeggieTales was just "okay" in my book, but What's in the Bible is great so far! My wife leads the library team at church, and picked these DVDs up for the video rack. She started watching them with our kids and kept telling me that I had to see them. On Monday, she finally sat me down and showed me the episode on Judges and Ruth. I was laughing out loud and loving the really good teaching. This one is for adults and kids combined. Adults will get a lot of the humor better than the kids, but not because it's "adult" in any wrong way. It's just plain fun and smart and theological and biblical. ...but it's not because I've been pounding my head on the piano. I think it's just a bad cold coming on. I studied the Bible all day! Today was Old Testament Day. 1. I learned what Hebrew words are often translated "gossip" in English versions. 2. I copied pages and pages of information out of word study books and commentaries on gossip in the Old Testament. 3. I also created a working outline for Chapter Two and looked up scholarly articles about gossip online. I was able to print some of them, but some of them are only available in physical libraries (can you imagine?). These 3 accomplishments don't sound like much, but they were a faithful, good start to my deep biblical research for Chapter Two of the project, and I didn't spend much time beating my head against the piano. I'll Never Get It. Never, Never, Never! 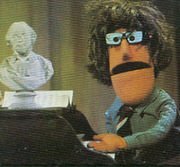 Remember Don Music from Sesame Street? I am so Don Music. Whenever I can't get something the first time, I want to bang my head on the piano and give up. "I'll never get it! Never, Never, Never!" Like this morning. This is another Writing Day that the church has so generously given me to research and study and think and then write my D.Min Project on Resisting Gossip. But I'm really struggling to get moving. There is no 1-2-3 checklist for me to follow. I'm working on a doctorate which means that I'm supposed to know what I'm doing. And the truth is, I will figure it out. But it doesn't feel like it right now. Right now, I feel like banging my head against the piano and saying that I'll never get it, taking my ball, and going home. And they need to see me lift my head up and try again. To be confident that God has led me here and He will lead me home. To know that I'm right where God wants me, and that He's gifted me for this task. To look back over the vast number of checklists for this project that are already completed and be confident that the Lord will help me to check off the rest of the list. And to be thankful for my wife. In most of the Don Music skits, Kermit or some other fuzzy creature comes alongside Don and encourages him to finish, often giving him the idea for the completion of the song. Heather often fills that role for me. She has said, "You can, should, and WILL get that project done." And I'm listening to her. Goodbye, Don. I'm rolling up my sleeves and trying again. "The real art of conversation is not only to say the right thing at the right place but to leave unsaid the wrong thing at the tempting moment." I preach from the New International Version of the Bible, but I highly respect the King James Version (KJV). The KJV turns 400 this year. I consult the KJV every week as I prepare my messages and love to point out the beauty of the language (as well as the strangeness to our modern ears) and especially when the translation is better than the NIV. This interesting article by Leland Ryken, author of The Legacy of the King James Bible, expounds on 4 wonders of the KJV. While those who think of the KJV as the only Bible or the best in all respects is misguided (I would refer them to D.A. Carson's careful plea for realism in that debate), I join them and all Bible-loving Christians everywhere who rejoice in and are thankful for the King James Version. [Matt's Messages] "The Authority of Jesus"
It’s time for a smackdown. We’ve reached the point in the Gospel of Luke when Jesus has confrontation after confrontation with the Jewish Religious Leaders. It’s been building up for months and months, but now it has reached the tipping point–and the real confrontation has begun. If you think that the Packers and the Bears or the Jets and the Steelers is a major confrontation, then you haven’t seen anything yet! Jesus has instigated this confrontation. On Sunday, He came riding into town on the back of a donkey–clearly indicating that He was the Messiah promised by the Old Testament–King Jesus! And then He cleaned house at the temple. Last week, we saw him tossing tables and physically manhandling moneychangers and merchandisers out of the temple courts. Returning the temple to what it was supposed to be: a house of prayer. And a house of teaching. V.47 said that every day of this fateful week, Jesus returned to the cleansed temple and taught. And one day that week when He was teaching in the temple, the leaders made their move. Chapter 20, verse 1. The leaders are not happy with Jesus. They don’t like Him one bit, and they want to stop Him. Now, in their world, authority was huge. Nobody taught anything on their own authority. Rabbis would always quote other rabbis. There was always a precedent that was being appealed to for any of their teaching. But we’ve seen that Jesus taught differently; He taught with authority and not like the scribes and the teachers of the law. And what about His actions? Where did He get the authority to toss people out of the temple? And think that it should shake Him. They are cowards. They are losers. If they really believed that John the Baptist was a fake and that Jesus was a threat to the people, they should have said so and taken the consequences. But they were the worst kind of politicians. Because it’s the same place where John got his. Jesus’ authority is not derived from men. It is direct from God. He had every authority to say what He said and do what He did. The very idea of authority is scorned these days in our society. Those are the things that we hear nowadays. But we all have something that we follow. Something that we listen to. But sometimes we don’t act like it. I know that Jesus says to honor my father and mother. Yeah, but... you don’t know what kind of a mom and dad that I have deal with! Do we say, “Yeah, but...” to that? And about that baptism piece...Jesus says that believers should be baptized. The question is, “Who do we think we are to say, ‘Yeah, but’” to Him? Jesus is Lord, and we need to act like. Today is Sanctity of Human Life Sunday. Thank you, Jenny, for being with us this morning from A Woman’s Concern. We know that the Lord Jesus says that life is precious and to not murder. What we have to do is to submit to Jesus’ authority. It comes from God Himself. In what area of your life right now have you been skirting the issue? What has He been talking to you about? Where have you been saying, “Yeah, but...”? Tell the Lord about it and resolve today to submit to His authority. It comes from God Himself. Even if the chief priests, teachers of the law, and elders wouldn’t recognize it. Jesus knew that they were rejecting Him. And that’s why He tells the next story. Now, this is different from the last parable He told about someone leaving others in charge in the last chapter. This time, the man is God the Father. The vineyard is Israel (or the promises of God which includes the kingdom and Israel), and the tenant farmers are the Jews, especially the leadership. This parable, so far, is not about the return of Christ, but about those who are supposed to be stewards of the promises of God–the leadership of Israel. “At harvest time he sent a servant to the tenants so they would give him some of the fruit of the vineyard. [It’s a business. It’s supposed to be productive.] But the tenants beat him and sent him away empty-handed. He sent another servant, but that one also they beat and treated shamefully and sent away empty-handed. He sent still a third, and they wounded him and threw him out.” Now, who do you think these servants stand for in this parable? They are the prophets. They are Isaiah and Jeremiah. They are Amos and Micah. And the prophets were disregarded by the Jews. And treated shamefully. Jeremiah was put down a well. He was put in prison–by the Israelite king! What does that remind you of? And He sends Him, and what happens? Duh! Is that how it works? Maybe there is some arcane law somewhere if they get away with the murder then they can claim squatters rights. But is this the way it normally works? Kill the heir, you get the inheritance. I don’t think so! Maybe we should submit to His authority? That’s how ridiculous and illogical sin is. But that’s exactly what we do isn’t it? And that’s what the Jews are going to do. The Son of God has come, and they are going to kill Him. The authority of Jesus rejected by men. As a church, we’re going to come back to the death of Jesus again and again and again, because it is the central fact of Christianity. And it’s where our salvation comes from. We’re going to see the Cross loom high over the next few months because that’s what the end of Luke is all about. Someone once said that the gospels aren’t biographies. They are passion narratives (death stories) with very long introductions. And that’s not all there is to them, but there is a big point here. The gospels spend a lot of time on Jesus’ passion week. His rejection means our salvation. The people who heard this were aghast what Jesus was saying. But that’s exactly what will happen. The vineyard will be given to others. Jerusalem will be sacked in under 40 years. And stewardship of all of the promises will be given, not to ethnic Israel but to the church. And even that will have a primarily Gentile leadership in just a few generations. They thought that they were standing in judgment of Jesus. But Jesus stands in judgment over them. And His authority is invincible. It may not look like it now, but every attempt to overthrow King Jesus will be a failure. He is the stone that the builders (leaders) rejected. But the owner has made the capstone. Everyone who falls on Jesus will be broken to pieces. And if you fall under Jesus, you’ll be crushed. Flee from the wrath to come! But for now, Jesus has won another round. And He’ll win every round. He is invincible in authority. Those who want to reject Him should reconsider right now. Because He will crush them. Those who choose death over life. Those who follow others gods. Those who call Jesus just good teacher. They will be broken to piece and crushed. Because the stone the builders rejected has become the capstone. If you are here today and not yet a faith follower of Jesus Christ, I urge you to repent (that means to turn) and to submit your life to Him. Judgment fell on these Jews who rejected Jesus. And it will fall on you. It might not feel like it right now. You don’t have to be crushed under the invincible weight of this stone. The Bible says that to all who receive Jesus, to those who believe in His name, He gives the AUTHORITY to become children of God. Jesus’ authority saving you and me and giving us forgiveness and eternal life. Repent and submit to His authority today. "Gossip is just news running ahead of itself in a red satin dress." Not all small talk is gossip or worthless. I agree. And one of the best things to talk about is the weather. 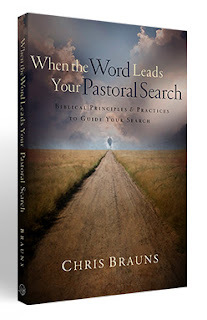 Just got my copy today of Chris Brauns' newest book, When the Word Leads Your Pastoral Search. Chris is a very generous fellow. With this free copy (thanks Chris! ), he wrote in the front for me, "Matt, your project notwithstanding, I am hoping to start some sanctified gossip about this book. On for the King! 1 Peter 5:1-4"
I didn't feel like it, but I did it, and it feels good now. 1. A BIG one: I revised my proposal (18pgs) into Chapter One: Introduction (7pgs)! Praise God! As I said to Heather, "It's not very good, but it's written. And now there is something to edit." 2. Filled up my Critical Readers list. I have the 25 readers that I proposed, both men and women. Praise God! 3. Started the exegetical work on the topic of gossip throughout the Bible. How to do this proficiently, efficiently, and comprehensively still eludes me. 4. Wrote my school about technical formatting matters (what Greek and Hebrew fonts do I use for the biblical research parts of my paper?). Which led to installing new Hebrew and Greek Fonts on my computer. Thank you to all who are praying alongside me. Question 145: What are the sins forbidden in the ninth commandment? Answer: The sins forbidden in the ninth commandment are, all prejudicing the truth, and the good name of our neighbors, as well as our own, especially in public judicature; giving false evidence, suborning false witnesses, wittingly appearing and pleading for an evil cause, outfacing and overbearing the truth; passing unjust sentence, calling evil good, and good evil; rewarding the wicked according to the work of the righteous, and the righteous according to the work of the wicked; forgery, concealing the truth, undue silence in a just cause, and holding our peace when iniquity calls for either a reproof from ourselves, or complaint to others; speaking the truth unseasonably, or maliciously to a wrong end, or perverting it to a wrong meaning, or in doubtful and equivocal expressions, to the prejudice of truth or justice;speaking untruth, lying, slandering, backbiting, detracting, tale bearing, whispering, scoffing, reviling, rash, harsh, and partial censuring; misconstructing intentions, words, and actions; flattering, vainglorious boasting, thinking or speaking too highly or too meanly of ourselves or others; denying the gifts and graces of God; aggravating smaller faults;hiding, excusing, or extenuating of sins, when called to a free confession;unnecessary discovering of infirmities; raising false rumors, receiving and countenancing evil reports, and stopping our ears against just defense; evil suspicion; envying or grieving at the deserved credit of any, endeavoring or desiring to impair it, rejoicing in their disgrace and infamy; scornful contempt, fond admiration; breach of lawful promises; neglecting such things as are of good report, and practicing, or not avoiding ourselves, or not hindering: What we can in others, such things as procure an ill name. "I hate to spread rumors, but what else can one do with them?" How often do I say that to myself? Most of the time, the thing I should do next is the very thing I don't feel like doing, and the key is to get courage from the promises of God and "just do it" by faith. This morning, I didn't "feel like" getting out of bed, but I swung out from the sheets and made some yummy pumpkin muffins for the family and woke up my wifey with a cup of steaming "Ring of Fire" coffee. I didn't "feel like" feeding the fire this morning, but we're going to be warm today even though it's cold out there. I didn't "feel like" getting on my knees and praying about my writing day, but I did, and I was blessed by reading/praying through The Spirit As Teacher in the Valley of Vision. Thank you, Lord! And I sure don't "feel like" really working hard on my project today. My goal for today is to write Chapter One: Introduction of my applied research project. I think it's do-able in a day because 1) it's mostly a revision of my proposal, 2) I have a clear outline for it my mind, and 3) I'm a writer (when I actually do it). So, if you're praying for me today, pray for productivity and perseverance. I once had a friend that never did anything he didn't "feel like," and eventually, it landed him in a big pot of yuck. I don't want to be like him. I want to be like Jesus who for the joy set before Him endure the Cross. I'm sure He didn't "feel like it," but I'm so glad He did it. [Matt's Messages] "Jesus and the Temple"
Last Sunday was Palm Sunday in the Gospel of Luke. Jesus, King Jesus, came riding into Jerusalem on a donkey. And in doing that in that way, He was saying that He was the Messiah and that He was coming as King. A king like no other king. And that king, deserving all worship, came riding into Jerusalem on a donkey and weeping over the sin of the city. He knew that Jerusalem and Israel and the world would reject Him. And so, this King wept. And what did He did do next? He went to the temple. The Gospel of Mark tells us that He went to the temple and looked around. I think He looked around to survey how things were in His domain. Not good. And then the next day, this next little paragraph happened. Verses 45-48. I don’t think that this is Jesus’ first time doing this in the temple. The Gospel of John presents Jesus doing something very similar very early in His ministry–in John chapter 2. But it’s been a couple of years since Jesus had done that and business had returned as usual. And Jesus has been mostly in the North with His public ministry. But now Jesus has come to town. And He has come to clean house. Let’s read the first two verses again. This probably happened in the Court of the Gentiles, that’s the part of the temple that was open to those who were not Jews. Non-Jews, Gentiles, were allowed into the Court of Gentiles to pray and to find out more about the God of Israel. But the Court of Gentiles had been turned into a shopping center and financial exchange. Now, you have to get this picture into your head. This temple, Herod’s Temple, was huge. It took up one sixth of the land mass of old Jerusalem. It was a wonder of the ancient world. The outer dimensions would cover twelve football fields. It is estimated by some scholars that up to 75,000 people could be accommodated in the court of the Gentiles. That’s 5 times the size of the Bryce Jordan Center. And all of those religious pilgrims who had come for the Passover needed to have a sacrifice and needed to pay their temple taxes with the right currency. So, with the blessing (and percentage-taking) of the High Priest, they had commandeered the Court of Gentiles to be a place for buying sacrifices and exchanging money. This is not the usual picture of Jesus that we get, is it? This is not a gentle Jesus, meek and mild. This is an angry Jesus, zealous and wild. Jesus is acting like an Old Testament prophet. But more than a prophet with just words, Jesus is in full action–doing something about what He sees. Jesus is actually violent here. Have you ever seen anyone turn over a table? I thought about putting a table up her and demonstrating, but I thought that would be too much for the kids. You can see it in your mind’s eye, anyway. A table full of money just flipped over and Jesus forcibly keeping people from carrying merchandise through the temple. Jesus is being brazen and forceful. He is angry and it is coming out in His actions. But it’s a righteous anger. Jesus is mad about the right things and in the right way and taking the right action. So often, our anger is not righteous. Right? We get mad about the wrong things in the wrong way and take the wrong action. So often, our anger is not righteous. But there is a righteous anger and Jesus shows it to us. Jesus’ example here reminds me that there is a godly kind of anger that I need to remember. I need to remember it so that I live it out when the time comes. I probably won’t have a reason to overturn a table in godly anger. I’m not King over the temple. But there will be times when I should get mad at sin and should say or do something that will seem culturally inappropriate but rises to the level of the sin. There are times to confront in godly anger. In what ways did you get angry this last week? Is there anyone you need to apologize to? Where you were mad about the wrong thing in the wrong way and took the wrong action? That’s what Jesus’ anger was. It was a purifying holiness kind of anger. Jesus is mad because these people were taking something that was supposed to be about holiness and worship and evangelism and selfishly turning it into...money. See what He says in verse 46. Jesus quotes two different Old Testament prophets to make His point. The first is Isaiah chapter 56, verse 7. This is one of those Old Testament passages that gives us a glimpse of the heart of God for those who are not yet His own, in this case, Gentiles. The temple was for Jews, but not just for Jews. And this is the Court of the...what?...Gentiles. They had pushed the Gentiles out and not left them room for prayer or for hearing about the God of Israel. The nations were not allowed in to pray. Because it was so contrary to the heart of God. Nobody could pray with all of that commerce in the temple! He is quoting Jeremiah chapter 7, verse 11. Where Jeremiah stands at the same place, at the door of the temple and scorches the people of Jerusalem for their sins. Listen to it in context. This is Jeremiah chapter 7. Do you see why Jesus picked that passage to quote at this moment? God is calling them to reform their ways. God wants to the temple to be holy but they were making it unholy. And that had to change. He was taking what was unclean and making it clean again. He was taking what was unholy and making it holy again. He was taking what was impure and making it pure again. Now, what is the application of that? When I was growing up, I thought that this meant that it was wrong to sell things in the foyer or the fellowship hall at church. And still I do think we need to be careful about that. We need to check our motives and try to keep business away from our major gatherings as a church family. But the Church Facility is not the temple, is it? What is the fulfillment of the temple now? Who is the temple now? We are the temple, aren’t we? Individually, bodily, Christians are all temples of the living God. And together, we as a church family are a temple–the meeting place between God and Man. Not the building, but the people. So, what does this mean for us? It means that Jesus wants us to be purified, too. He wants us to be holy, too. He wants us to be a people of prayer, not a cave of thievery. One application of that would be, again, to not love money. You can only have one master, God or money. It looked like Money was winning at the temple. But then Jesus came around and cleaned things up. I think that one thing that we should do because we’ve slowed down and read this passage is to do some self-evaluation of our own hearts and lives. What needs to be cleansed? What needs to be purified? What needs to be kicked out of hearts and lives to make way for holiness? We are the temple, and Jesus wants it pure. I believe that Jesus was fulfilling another ancient prophecy when He did this. Jesus was coming to refine and purify His people. Are we submitting to His cleansing power? Now, I never thought about this until this week. Never in my life. But it seems to me now that Jesus’ violent cleansing action was successful for about one week. I never thought about it. I think I assumed that it went right back to business-as-usual the next day. But it seems from reading verses 47 and 48 that Jesus didn’t need to clean out the temple again that week. The money changers stayed home or set up outside somewhere. The people selling merchandise and sacrificial animals stayed away. And Jesus set up shop in the temple and made it the center of His ministry that week. I never noticed this before. Look at verse 47. Jesus made the temple His pulpit. And the people were listening. They listening every day. The other gospels make it clear that He would come into town each day and teach the temple and then go out to Bethany each night. The picture I get is that King Jesus has reclaimed His temple at least for now. I get a picture of #3. SOVEREIGN MAJESTY. Just like we saw last week, Jesus is in complete control here. He has changed the temple, cleansed it, made it holy again. And it is HIS TEMPLE! Remember back in chapter 2 when a young man named Jesus came to the temple with his family? Luke is the only gospel that has that story. Mary and Joseph and Jesus come to the temple and then the family heads home assuming that Jesus was with them, but He wasn’t. He was back at the temple, amazing the teachers of the Law. What did He say to His parents when they found Him? Jesus was, even right then, aware of and claiming to be God’s Son. And if the temple is God’s House, then it is Jesus’ House. In my mind’s eye, this is the closest that things get during Jesus’ ministry to being the way things ought to be. The son of David teaching (ruling?) in the temple of the Lord. They couldn’t kill Jesus until Jesus said that they could. That’s what you do when the King is speaking. When the King is righteous and dispensing righteous teaching. You hang on His every word. Of course the leaders couldn’t kill Jesus, He was reigning in sovereign majesty. Are you and I hanging on His every word? Do we yearn to catch each word that drops from His mouth? How many are reading the Bible through this year? How many are (whether or not you’re taking the challenge), how many have a plan to read their Bible regularly and hang on Jesus’ ever word this year? These are the words of the King! “The law of the LORD is perfect, reviving the soul. The ordinances of the LORD are sure and altogether righteous. they are sweeter than honey, than honey from the comb. Hang on every word that comes out of the mouth of our Sovereign Majesty! One more thought and then we’re done. Jesus was more than just the Lord of the Temple. He was, the fulfillment of the Temple. Jesus is the true temple. This temple that Jesus was cleansing was just a picture of what Jesus was going to be and do. Eventually, this week, the bad guys in verse 47 get their wish. They kill Jesus. They tear down this temple of Jesus’ body. But even that was part of His Sovereign, Majestic Plan! Jesus died to pay the penalty for sin. And then Jesus came back from the dead to give life to all who believe in Him. He is sovereign master even over death. And those who put their trust in Him gain forgiveness, heaven, and everlasting joy in the presence of His sovereign majesty! Jesus is the fulfillment of the temple. [Matt's Messages] "Investing for Jesus in 2011"